Folio 184v, a page from the ‘Belles Heures of Jean de France, duc de Berry’ (1405–1409), which is assumed to be painted by the Limbourg brothers Paul, Herman, and Jean de Limbourg (and their assistants). In this part of the manuscript, the story of St. Jerome, an Illyrian Latin Christian priest, confessor, theologian and historian best known for writing the Latin translation of the Holy Bible, is told. 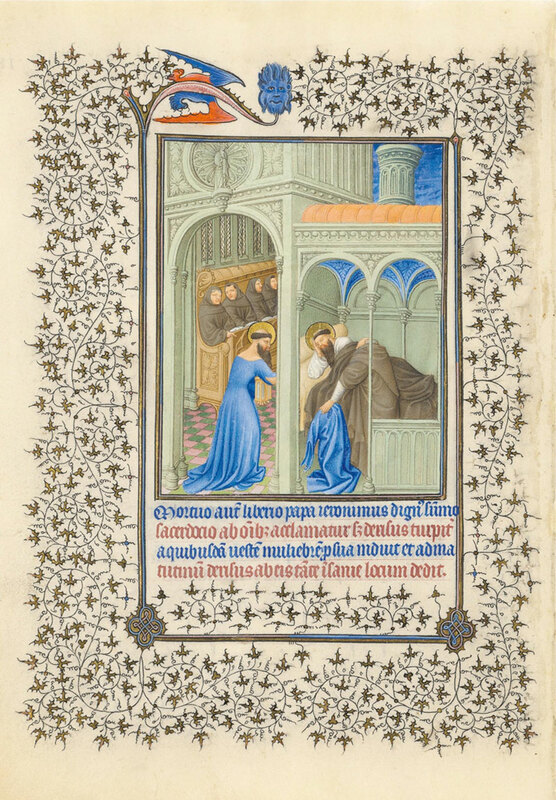 A prank is played on the pious Jerome: in the dark of night, another monk steals into the saint’s cell and replaces his habit with a woman’s dress. The saint, waking in the pre-dawn hour of Matins, puts on the dress and goes into the church, where the seated monks whisper at the scandal of seeing Jerome, beard and all, in the blue dress of a lady. 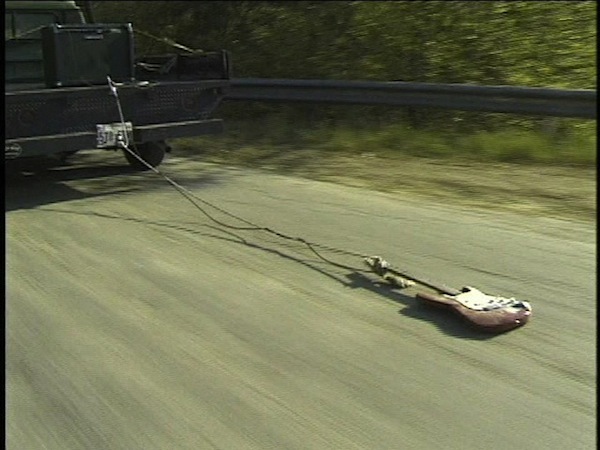 ‘Guitar drag’ (2000) by Christian Marclay. 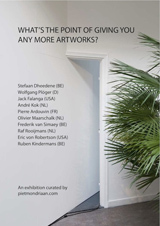 Kalup Linzy (born July 23, 1977) is an American video and performance artist who lives and works in Brooklyn, New York. Born in Clermont, Florida, Linzy graduated from the MFA program at the University of South Florida in 2003. He also attended the Skowhegan School of Painting and Sculpture video art workshop, and in 2005 received a grant from the Louis Comfort Tiffany Foundation. Linzy was named a Guggenheim Fellow in 2007. Linzy’s best known work is a series of video art pieces satirizing the tone and narrative approach of television soap opera. Linzy performs most of the characters himself, many of them in drag. He also performs many of the same characters on stage.